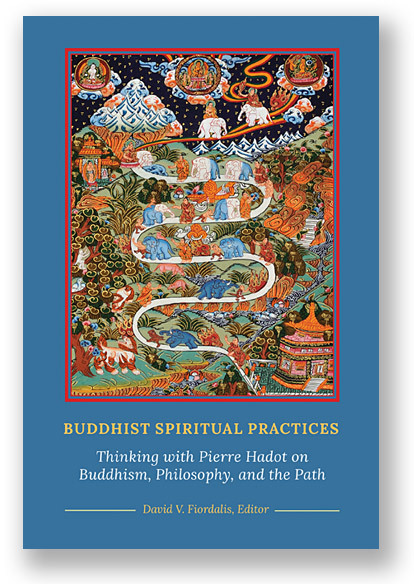 Buddhist Spiritual Practices is a collection of integrated essays that applies Pierre Hadot’s well-known approach to philosophy to Buddhist thought. Hadot maintained that philosophy in the Hellenistic period was understood as a form of spiritual practice—a guide to a way of life. These essays, written by prominent Buddhist scholars, demonstrate that Buddhist philosophy can fruitfully be analyzed in line with Hadot’s insights, and that doing so can contribute to contemporary discussions of the purpose of education and the role of spirituality in philosophical discourse. A must read for anyone interested in the current state of philosophy and Buddhism’s place within the academic curriculum. It will also appeal to historians, students of religion, and anyone interested in the deeper aims of education. An extensive bibliography of works by and on Hadot, Buddhist sources, and other secondary literature complete the book. David Fiordalis, the editor, is an associate professor of religion at Linfield College. In 2015, he worked with Dr. Luis Gómez, the Academic Director at Mangalam Research Center for Buddhist Languages, to organize a conference on Hadot and the study of Buddhism. He began the process of editing those essays together with Dr. Gómez, and after the latter’s untimely death, completed the volume on his own. Contributors include Steven Collins, Sara McClintock, James Apple, Pierre-Julien Harter, Maria Heim, Davey Tomlinson, and Fiordalis himself. The editor has carefully arranged the individual chapters so that they reflect and respond to each other. As a result, the book can be read as an integrated whole that makes a valuable contribution to an emerging field of study.